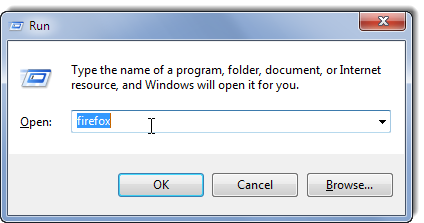 Well, if you are a regular TechnoTravel reader, then you might have noticed the frequent use of Run Box that we open with Win + R keys in most of our Windows' tutorials. In fact we're big fan of this Run Box, which exclusively opens up what you need right away, without navigating through the numerous windows and menus. Also you can show off your computer skills to your friends or colleagues with this Run Box. So, to add some more tools to your Run Box Armory, here we are coming up with the trick solely focused on Run Box, which actually helps other tricks to get happen! As the post title suggest, here we are discussing about adding some custom commands (or the commands of your liking you can say) to enhance functionality of Run Box that you can take advantage of. 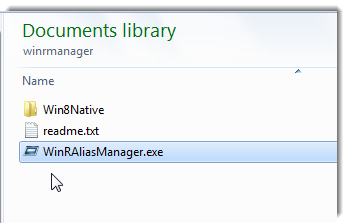 As of now, windows doesn't provide any native feature for this purpose, so you'll need to head over to the developer's site and grab your copy of Win + R alias manager. Now extract the .zip file to your desired destination. 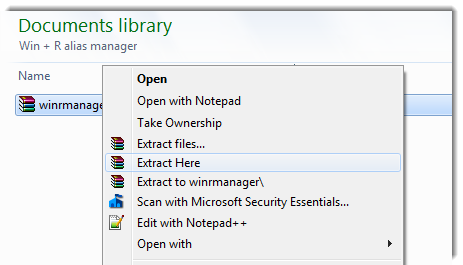 And open WinRAliasManager.exe. It will look like following image. Now the applications installed in your PC will show up by default in the list. Select the application that you want to open from the list and click "Edit" from the top bar. 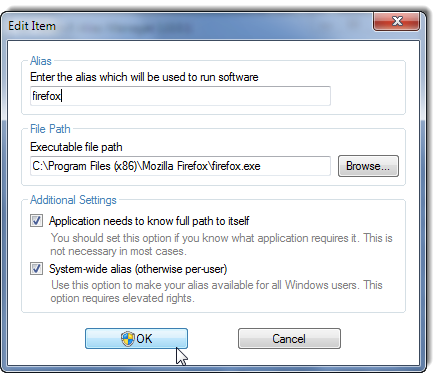 As you click "Edit", it'll come up with a dialog box that will let you configure your desired shortcut. All things are easy enough that we leave them upon you to configure. But as always, the figure is here to guide you! That's all that you need to setup. Now it's a testing time! 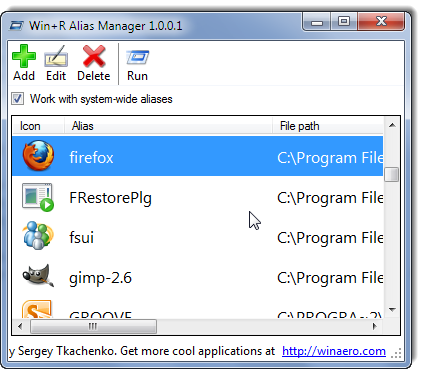 Quickly open up Run Box by pressing Win + R keys and write firefox in it, as shown in the below image. And viola! the Mozilla Firefox opens up leaving smile on your face! Happy and Smart computing! !